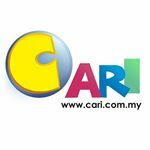 Interested to become a volunteer as a Moderator in CARI English Forum? [CARI hiring!] Sales Person for Online Advertising- We are looking for you! MALAYSIANS GO ALL “WECK-Y” AT PINK BOSU PARTY!